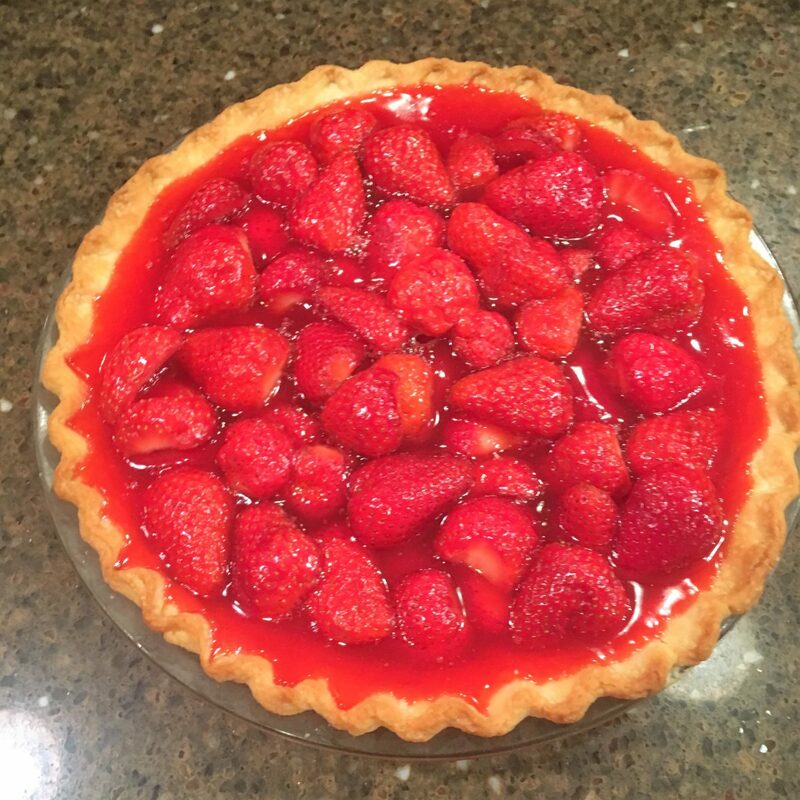 It looks delicious and tastes divine, Brad’s Mom’s Strawberry Pie is simply the best! Combine Jell-O, sugar, and cornstarch. Stir until free of lumps. Bring to a boil and continue cooking until thickened. Remove from heat. Add a quart of halved strawberries. Pour into baked pie shell. Turn strawberries so that uncut side is up.